Readers! You are probably wondering where FyreSyde’s posts have flown off to (or maybe you aren’t, I don’t know). Well, wonder no more. For 2019, FyreSyde is undergoing minor changes to make things easier for our readership to find exactly what they want. This has been accomplished by not only shifting content around but also by adding a new donation system for our book review policy. If you’re wondering about updates regarding Blaise’s books, Bane of Tenebris is currently with her editor and awaiting first round revisions. For those of you who have signed up for the launch team, we realize how this must be frustrating. Please know Blaise is doing whatever she can to make sure the title’s release stays on deadline. Book 2 of the Wolfgods series is currently residing with our editor. If all goes as planned, Blaise should have it by the end of this month and implement a full scale revision on it. The whole month of February will be dedicated to finalizing the manuscript and getting it into the hands of our beta readers. As early as February, Blaise will send out an email to those of you on the launch team to help with the cover reveal. What this means is, we need your help to go viral with the beautiful cover designed by Damonza.com. This will help spread the word about the book to as many as we can reach and hopefully garner more interest in the launch team. The book launch will occur in two phases over the span of two weeks. The first week (release week), the “soft launch” will focus on giving our beta readers and bloggers time to not only post their reviews but schedule their blog posts. Free promo will run as well across multiple web sites. The “hard launch” phase will focus on paid promotion, retweets and social media sharing across cyber space. This will be “Ad Week.” We’re expecting giveaways, exclusive content and blog posts to go up during hard launch. If you are interested in joining this team, the form is still accepting applicants. Find it here. One of the major changes we’ve made is to move all of our author promotional content and book reviews to our new subdivision, Tyto Forest (formally NytOwl’s Horrors). We wanted our readers to find the content they wanted to read much easier. For those who wanted to see our reviews, we made specific tabs for them to see the kinds of reviews they can expect. 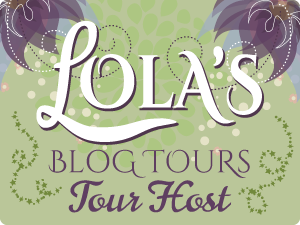 On the blog, we have all of the promotional content (book tours, blitzes, giveaways, cover reveals, reviews, etc) set up in an easy to navigate page. We have a review policy tab where authors interested in inquiring about a review to find and contact us at an email set up completely for reviews and blog tours. 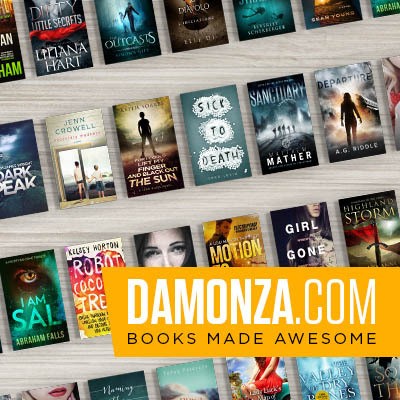 As a professional bookblogger and reviewer, Blaise can get overwhelmed by the sheer number of authors who want their books promoted and reviewed. This often leads to needing to turn authors away or put them on a wait list. They can wait months for reviews. Our way of dealing with this is to implement a donation system. What this means is, should the author choose to, they can donate as little as three dollars via Ko.Fi to show their support. Not only does this help keep constant content flowing, it helps the author by getting their review inquiry bumped to the top of the list. We realize some may not find this fair but keep in mind, bookbloggers devote their time and energy to help authors promote their books. Often this is for free (and it still is) but giving a donation shows support, much like authors and reviews. Many radio stations do this for charities in order for authors to get hosted. Busy season has started! Already, we are scheduling appearances and signings. This includes conventions like FenCon, ReaperCon, AllCon, ConDFW, the Spooky Spectacle, SoonerCon and The Hard Rock Author Event in Tulsa. Book festivals like Fort Worth, WORDfest, Dallas Book Fest, McKinney Book fest, and a few others have also been included. Half-Price books and Barnes and Noble signings are in progress. Please watch our appearances page for more details. As we said, we know these are some small (or maybe large changes) but they’ve been made to not only help our team but also (and most importantly) our readers and authors. We hope you will continue to reach out to us and follow us on this journey as we grow. For any questions, please don’t hesitate to email us at fyresydepublishing@gmail.com. As always, we welcome and encourage you to follow us on social media! We keep it as updated as possible and sometimes (more often) insert a little fun. Previous Previous post: Halloween Book Blast! Sales Too Scary to Miss!